Here?s the dilemma. 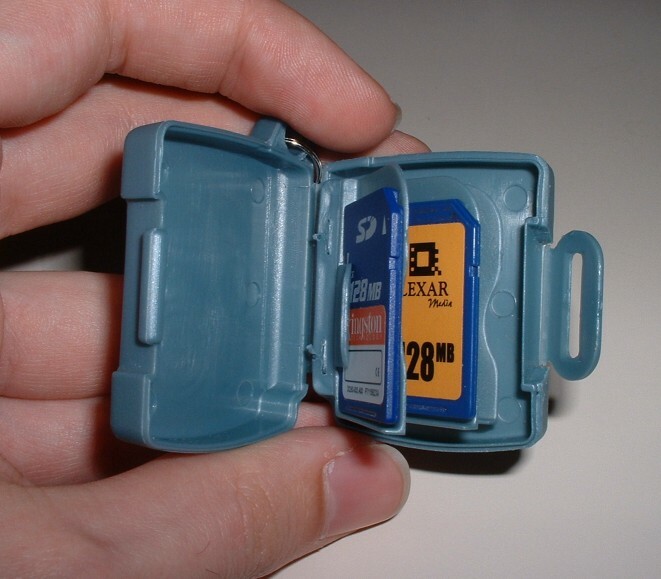 You have a couple SD cards, maybe a miniSD card or some memory sticks, and you never quite know when you need one. I have this problem and users that use their PDA for media and have lots of memory cards know what I am talking about. The big question is how do you carry them around. You could throw them in your pocked but I don?t really want to ruin a card that could be expensive and has my data on it. Also you don?t want to lose track of them or just plain lose them. ePorter Inc. has a solution for you called the iPorter xSD. 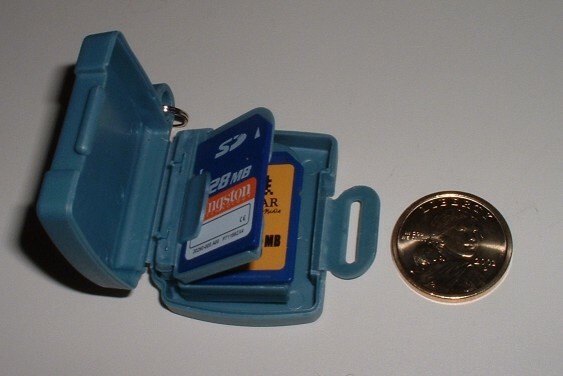 You may have seen some cases for memory cards that are larger and are hard to go mobile with. iPorter xSD really shrinks a memory case down to be as small as possible while still being able to hold multiple cards. The iPorter xSD is a small plastic case for holding three memory cards. It also doubles as a keychain so you can throw it in with your keys or it can go right in your pocket?probably right next to your device. The iPorter xSD is made of the thick plastic which likely can withstand a decent blow. The front face is molded to look like a camera because the iPorter xSD is marketed at camera users, though I think it is the PDA users that will have the diverse memory collections. 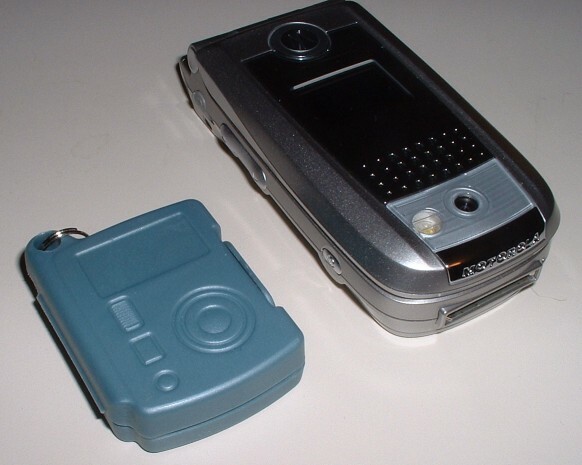 (ePorter has the mPorter product which is made to look like a PDA, but is only available for bulk orders.) A simple latch on the side holds the case closed. I do worry about this latch breaking off after use for a couple months. I only have been using it for a week and it has been fine, but I worry about it holding up. Inside, the case is like a little book. There are three plastic ?pages? which hold the card in the case. Each can hold one MMC, SD, miniSD, Memory Stick Duo, xD, or TransFlash card. The ?pages? flip like a book for access to all three cards. The first two cards an easily accessible in the case, the last is a little more difficult because of how the pages fold. Instead of flipping the pages they can also be easily pulled out as well, making easier to get access to the last card. When mobility is important, you do not want another case taking up room in your pocket or purse. You need something that is functional and protective. The iPorter xSD is a good option to solve the problem, carry a number of memory cards, and not break the bank. I worry some about the quality of some parts of the produced (specifically the latch to close it). At only $10 for two cases, the iPorter xSD makes sure that you memory cards stay together and do not get damaged. The iPorter xSD comes in three colors and all will hold MMC, SD, miniSD, Memory Stick Duo, xD, and TransFlash cards. This means, this product is a good product, though has something which could be improved. This product has a good design and/or application, and is something I might use though there are still areas for improvement. Weigh the pros and cons before purchasing. Feel free to email me about your own PDA, questions, comments, articles, rumors, and reviews. I can be reached at dave@davespda.com.